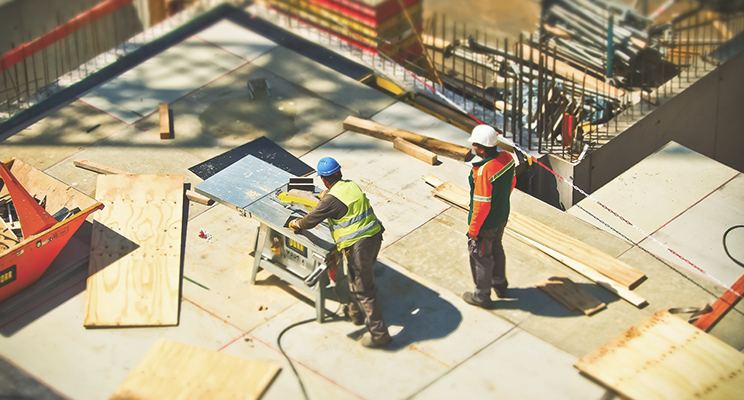 Workers in the construction industry are on the move. According to the numbers from the U.S. Bureau of Labor Statistics, approximately 177,000 construction industry workers quit their current jobs in April 2017. That’s more than twice the number (roughly 68,000) of construction employees who gave separation notices in April of 2009—two months prior to the official end of the Great Recession. Employee retention issues shouldn’t come as a surprise to anyone in construction. The skilled labor shortage is heating up competition for talent. Consequently, many construction companies are taking a renewed look at how to keep good workers on their payroll. Worker retention is a tough nut to crack. But most experts agree on one thing—employee engagement is a key factor to keeping good talent on board. Why? Consider these facts: In a Gallup survey, organizations whose employees reported high engagement had 25% to 65% less attrition than their peers. They also experienced higher levels of productivity and customer satisfaction. Construction industry consultant FMI believes the construction industry could be missing the mark on employee engagement. FMI points to their 2015 Talent Development survey in which construction employers listed competitive pay, enjoyable work environment, and training opportunities as the top three things used to retain key talent. In contrast, an earlier FMI study showed that millennials—an important talent source—agreed on competitive pay, but listed work-life balance, and personal development as most important to them. There lies the disconnect. Put people in the right positions. Look at your current team. Do you understand each person’s skill set and where they excel? Are they in the best position to add value to your company and for them to succeed? Provide a career path. Most employees—not just millennials—want opportunities for career advancement. According to FMI construction industry research, however, only 19 percent of respondents define career paths for their employees. Now’s the time to revisit your current job structure and identify achievable career paths. Offer “big picture” training. Tie your training to a person’s career goals for the biggest impact on employee engagement. Encourage employee contribution. Foster a company culture that promotes and values employee input. Coach for success. Ditch the annual performance review and replace it with regular check-ins with employees. Use these one-on-one sessions to provide timely job performance feedback, valuable coaching, and advice on how to achieve career objectives. Compensate competitively. It’s simple supply and demand. Considering today’s shrinking pool of qualified workers, competitive pay is the baseline for employee engagement and retention. According to Gallup, anywhere from 30.2% to 34.5% of employees were engaged in their work during the second quarter of this year. While employee engagement numbers have been inching up slowly over the past three years, there is still a long way to go. Companies who can boost employee engagement will gain a valuable advantage by attracting and retaining the best talent.